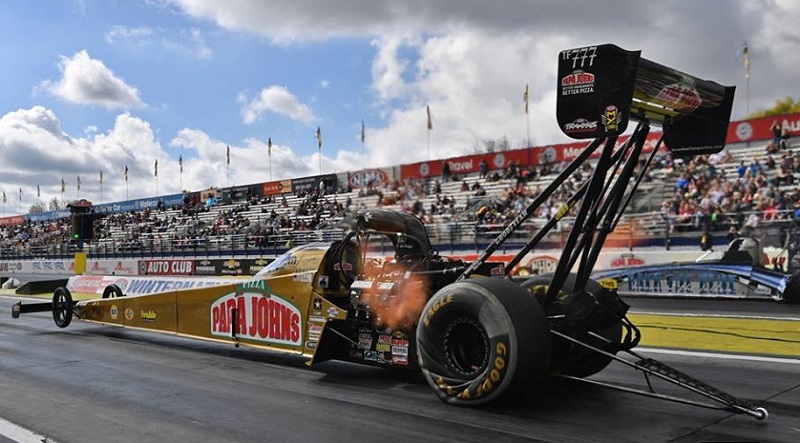 Leah Pritchett, a Redlands, Calif. native, earned the second Top Fuel victory of her career at the 57th annual Circle K NHRA Winternationals on Sunday at Auto Club Raceway at Pomona, her home track. 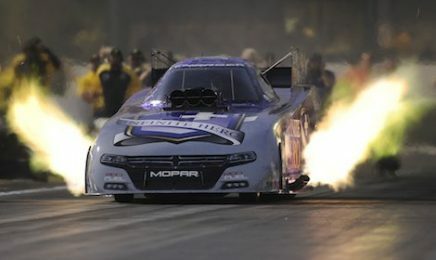 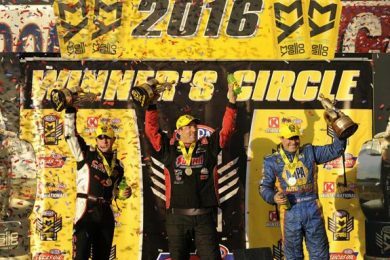 Del Worsham shocked the masses during the opening round of NHRA Funny Car competition Sunday at the Circle K Winternationals, pulling a big upset as he knocked out John Force Racing heavyweight Robert Hight in the opening round. 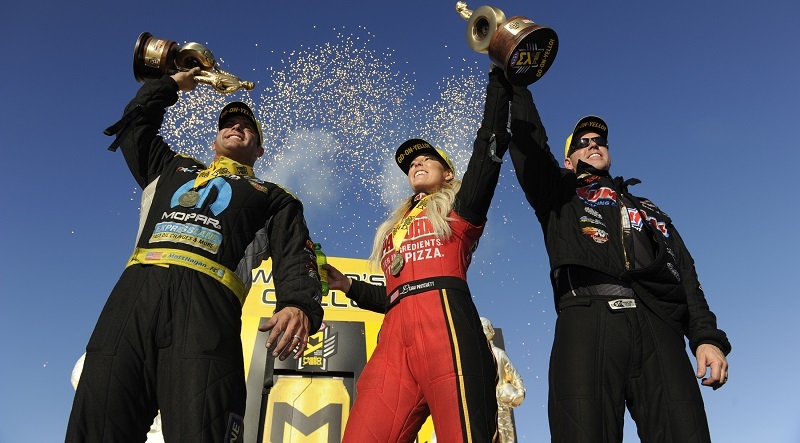 Leah Pritchett raced to her second career Top Fuel No. 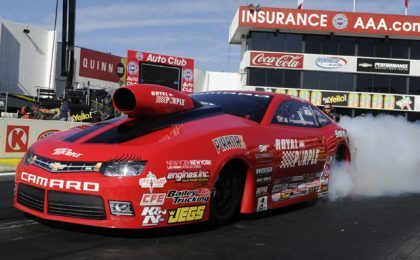 1 qualifier at her home track Saturday at the 57th annual Circle K Winternationals. 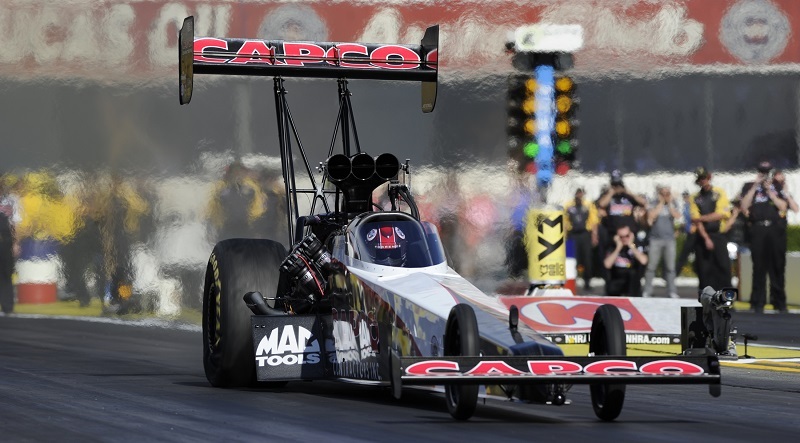 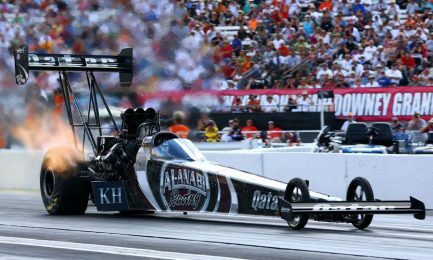 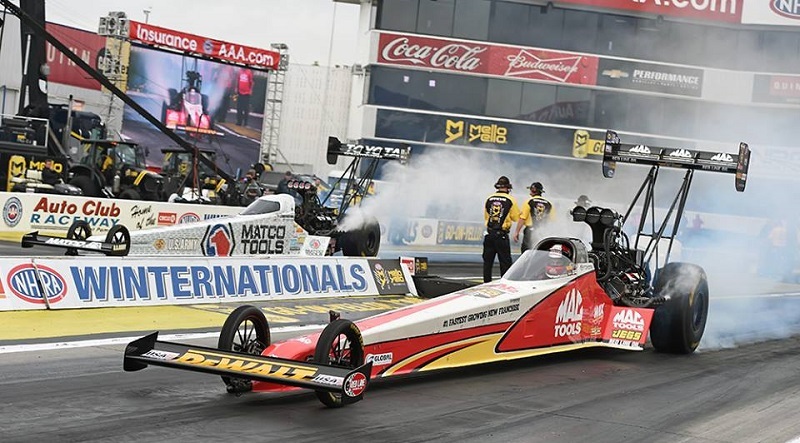 Doug Kalitta ran his career best elapsed time to lead Top Fuel qualifying Friday at the 57th annual NHRA Circle K Winternationals at Auto Club Raceway at Pomona. 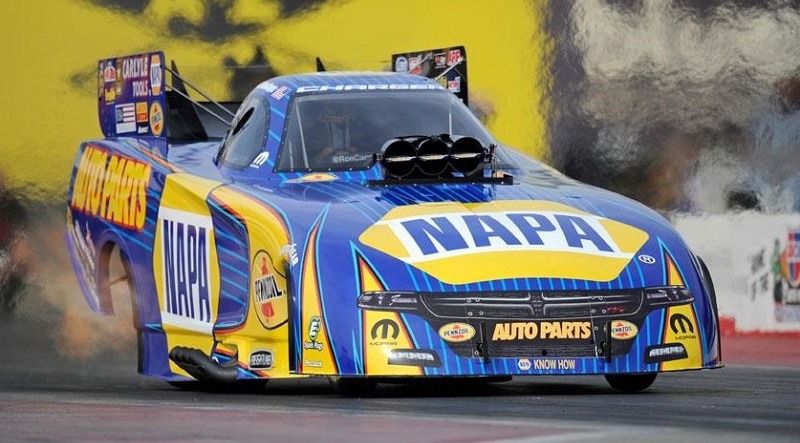 The last time Ron Capps was at Auto Club Raceway at Pomona, he was celebrating his first career Funny Car world championship with a fan turnout the longtime standout will always remember. 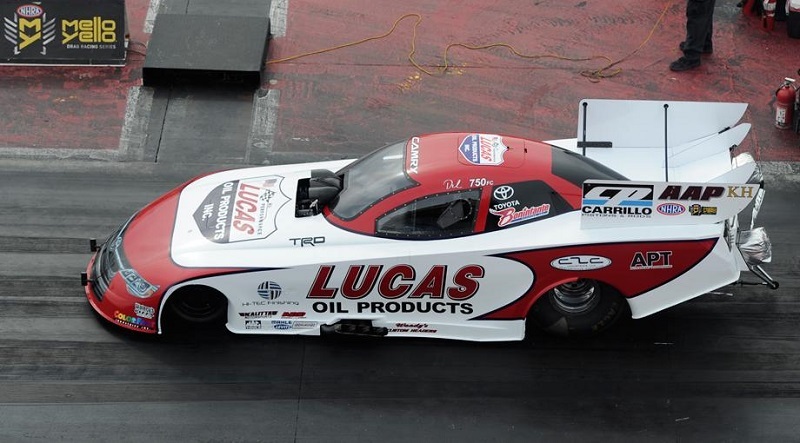 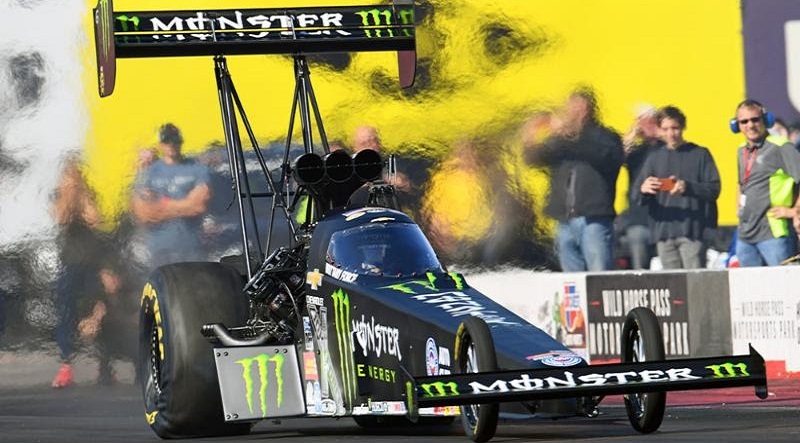 Monster Energy Top Fuel drag racer Brittany Force had a breakout season last year. 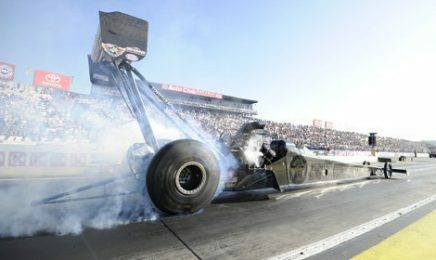 The NHRA Mello Yello Drag Racing Series will kick off its 2017 season during the 57th annual Circle K NHRA Winternationals, which opens the year Feb. 9-12 at historic Auto Club Raceway at Pomona.